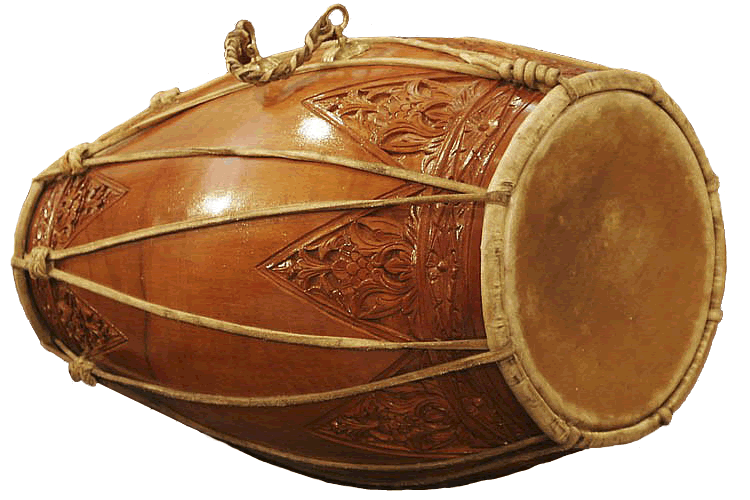 No gamelan is complete without the drum, called kendhang. Traditionally, the kendhang player leads the orchestra, by setting the tempo, indicating tempo changes, and playing cues. 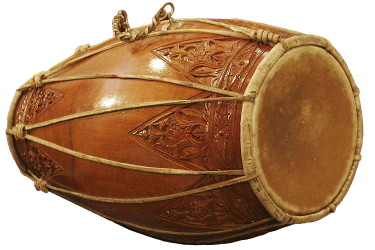 Kendhangs are barrel shaped hand drums with a (goat or buffalo) skin on each side. Skin tension is regulated by adjusting the leather straps that hold the skins. There are three drums, from large to small. The largest and lowest in sound is called kendhang gendhing, the middle sized one kendhang ciblon, and the smallest kendhang ketipung. The most versatile of these is the ciblon, ketipung is generally only used for accents. There are several different strokes in kendhang playing. beat on the open, largest skin, the bass, so to speak. beat on the open, smallest skin, sounding similar, but higher. these beats can also be played with the other skin muted, producing a sound with less overtones. slap on either side of the kendhang, producing a sharp, penetrating sound. ‘rim shot’ with the finger on either side of the drum, producing a harmonic. The general way of handling kendhangs is much like playing congas. There is one more large drum, the bedhug. It is also barrel shaped, but much bigger, and the skins are fixed by wooden nails like in Chinese or Japanese bass drums, so the tension cannot be adjusted. It is player with a beater, producing a loud thud.